It seems like every time I pop on to twitter or any other social media site, that I'm seeing an article about how to 'survive the holidays.' I especially enjoyed reading Susan Lacke's piece: 'The War on Christmas Cookies.' Not because it told me how many miles I needed to run in order to enjoy my Christmas cookies, but because it told me to ENJOY my Christmas cookies! I do think that this time of the year can be tough, especially for multi sport athletes who love training plans, two-a-days, and energy gels. However, I believe that there are a few things that we can do to set ourselves up for success - both mentally and physically. Manage YOUR expectations. Don't plan a 16 hour training week when you have 4 holiday parties to attend. Don't schedule a 4 hour long ride on Saturday when you have a house to decorate with your wife. It's simple, set yourself up for success by setting reasonable expectations. Pick A goal. Here, I would emphasize the 'A.' I find that it isn't realistic to shoot for 10k of swimming, 30 miles of running, and 6 hours of riding this time of year. Why not pick one of those - and make sure to absolutely nail it. Remember that you aren't racing for awhile. This ties into #1, this time of the year we should be focused on building up general fitness but also giving ourselves a mental and physical break, emphasis on 'we should.' This helps me be OK with shortening my rides/runs to prioritize family/fun. Quality > Quantity. With race season being months away, this is a great time to work on your upper-end fitness. Make the most of the time that you have, even if that means a 30 minute hard workout on the trainer rather than the hopeful 90 minute tempo ride. Eat some cookies! Susan said it best: "Exercise is fun. So is eating. Find a healthy balance of both over the course of the year, and we'll all be fine." I hope this article finds you well and can give you the willpower to enjoy the holiday season while finding a healthy balance with your training. If you end up putting on a pound or two, we all know they will fly off when January kicks in and we kick ourselves into gear. I have been spending a fair amount of time on the road since moving to Bend in April. Work has me traveling an average of 2x per month but I’m in the middle of a 5 week stretch of one trip per week. I used to fear traveling due to its potential to get in the way of my training, health, and fitness. However, I’ve really learned to embrace it and I’ve come up with a pretty great routine (that naturally has to be flexible!) and small set of rules that are working really well. Without any further rambling, here are some of my tips of balancing workouts, training, and health with traveling! Be Flexible – “Something is ALWAYS better than nothing.” This one is at the top of the list because it requires the most adjustment if you are like me: a planner who is energized and driven by following and nailing my scheduled workouts. When I’m on the road I pack an abundance of workout gear: meetings get moved, dinners might not start until 8pm or later, and I can always choose to wake up early. Following the simple mantra of ‘something is always better than nothing’ almost always allows for me to carve out a run, even if it’s just 20 minutes. But, if I have a few openings throughout the day, I can actually accrue a decent amount of training. Strength – “Do the things that I don’t do at home.” The number 1 thing that I hear triathletes say they want to do more of is strength training. I try to be as regimented as I can and I prescribe appropriate and relevant strength and core workouts to my athletes, but the small things are always the easiest to miss or skip. A hotel room is a great place to get in a quick circuit and you can always make time for 10+ minutes! Simple circuits of lunges, planks, squats and pushups will help you be a more durable athlete, plus it’s a great way to work up a quick sweat. Single Sport Focus. Triathletes balance a workload of swimming, biking, and running each week which can be tough to manage on the road. I always change my plans to allow for me to do a single sport focus while traveling. Running is by far the most efficient exercise we can do – it requires the least amount of gear and doesn’t require special facilities. If you don’t want to run outside, I promise you’ll be able to find a treadmill. When I’m pinched for time, I follow this rule “Quality beats quantity” and will opt for tempo effort or intervals to make the most of my time. Hit the stairs and walk when you can. At the airport, the hotel, navigating the trade shows – there are always stairs. As long as there are stairs available, I’m choosing to take the stairs in lieu of elevators. This week we took a few clients out to dinner about a mile away from our hotel. The team all Uber’d and took cabs but I opted to walk both ways. Great way to clear the mind and the steps add up! Control your intake. At the end of the week on the road, I’m continually surprised by how many times I hear people say “I need to detox” or “I miss vegetables.” The easiest thing to control on the road is your food intake. I absolutely understand that there isn’t always access to a salad bar and that we might have to eat from the buffet of grilled cheese, sliders, and French fries. Portion control and choosing the best quality food no matter where you are is such a great way to control your health while traveling. And don’t forget to drink a LOT of water – it’s very easy to forget this one when you are going nonstop. My water bottle is always with me and it’s a great way to make sure I’m drinking enough fluids. I hope this is helpful and can encourage you to find a way to incorporate health and exercise into your traveling routine. Making time for YOU is a really important aspect of traveling and it’s not fair to let your happiness, health, and sanity slide to the back when on the road. Would love to hear in the comments below or on Twitter what types of tricks/rules you have for balancing your lifestyle with travel! Isaac Newton is known as a prestigious physicist, philosopher, and mathematician. To me, I will always think of Newton based on his laws of motion. To extract part of his 3rd law: "For every action, there is an equal and opposite reaction." This can be interpreted many ways, but for me it's always been that we always have a choice in how we choose to react, every single day. The last few weeks have been hard! As we've entered into the fall season, it seems as if we've entered a difficult season of life as well. Figuring out what the holiday's are going to look like as we balance our lives between two families while still making time for ourselves. 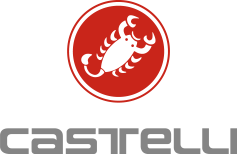 Continual growing pains (and awesome opportunities) of working in technology for a company that is continuing to grow, evolve, and mature. And sickness, being down and out for a few weeks with a cold or flu that seemed to attack half of the office. I find myself really struggling to balance all of the competing priorities in my life when life isn't effortless, but at the same time it's a chance to really assess ALL of it. Without a doubt, my biggest priority in life is and should be my wife - supporting her, putting her happiness above mine, and going all in to keep her love tank full. Showing up to work with my game face on every day is really important to me, and I need to remember to bring my natural, fun energy that makes me who I am. And training is something that is huge priority, something that is fulfilling and rewarding as I chase my giant goals. This post is a simple reminder to myself and I hope it finds you well, too. I have found myself reacting negatively to many different parts of life these last few weeks. Almost always, these negative reactions impact the important parts of my life that really matter...you guessed it, in a negative way. No matter what 'action' life throws at you, take pride in how you 'react.' For me, I'm going to choose to wake up on the right side of the bed tomorrow. After a fun night of pizza and beer at Pacific Pizza and Brew - we headed home which meant it was time to... SIGN UP FOR IRONMAN CANADA. 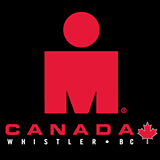 Super excited about Whistler '16, and looking forward to planning out next years racing schedule. This next year, we know where we are going to be living and working, so I'm excited to be able to plan out a more thorough racing schedule and to really make some big progress. I have built a big base these last few years and think that 2016 is going to be a breakout season for me. We headed up to Driftwood Campground the day after my birthday to camp on Three Creeks Lake, between Sisters, OR and Brokentop. Of all the things we could have done, going out to the woods with April - eating good food, and spending some quality time around the fire sounded best. Because it's us, it was definitely an active weekend. We brought our paddle-boards, ran around the lake, and ran Tam MacArthur Rim which was tough, and so worth it for the view. I'm thankful to have a wife who is always up for an adventure, and who continues to support my goals and crazy aspirations in the world of triathlon. 27 is going to be the best year yet, I love you babe! It’s been just over 1 month since I crossed the line of my first Ironman at Coeur d’Alene. While I feel like a radically different athlete, I’m finding myself feeling rushed to get my speed back and also thinking non-stop about how badly I want another shot at the IM distance after my tough, 106 degree debut. After tracking Ironman Canada and Lake Placid yesterday, and seeing the varying performances by athletes who have been training/racing much longer than I – I’m realizing that I need to start practicing what I preach: the importance of patience and consistency. I realize that the process of racing an Ironman from start to finish requires years of hard-work (consistency) but it also requires perfect execution and sticking to a plan (patience). However, what I am writing about today is the importance of trusting in that consistent training, and having the patience to fight through poor race performances, tough training days, and the constant desire to get to the ‘next level’, whatever that might be for someone. My plan for 2016 is Ironman Canada and the goal is Kona. I believe that in 12 months, if I am consistent in how I approach my training, and patient in how I approach the progress of each day/week /month that I absolutely will be on the 25-29 podium next year. In order to make this goal a reality, I need to continue the work that I’m already doing – I don’t need to train 20 hours a week (yet), but I need to be consistent in how I approach my training, so I’m ready for the big volume that is to come next spring. If I want to swim/bike/run the times I know I’m capable of, I will need to be hitting bigger numbers across all 3 disciplines in training – again, requiring patience to get to that point, rather than forcing this progress before I’m ready. This post is for me, so I won’t be posting about it on twitter, Instagram, or any other social outlet. It is a reminder to myself to keep doing what I love, to trust in the plan, to be thankful for progress that is made every day, and to believe that come next July I’ll be ready for the big day. And if you’re reading, I hope you are able to find peace in a similar approach and to remember that we do this because we LOVE it and it’s all about the journey. 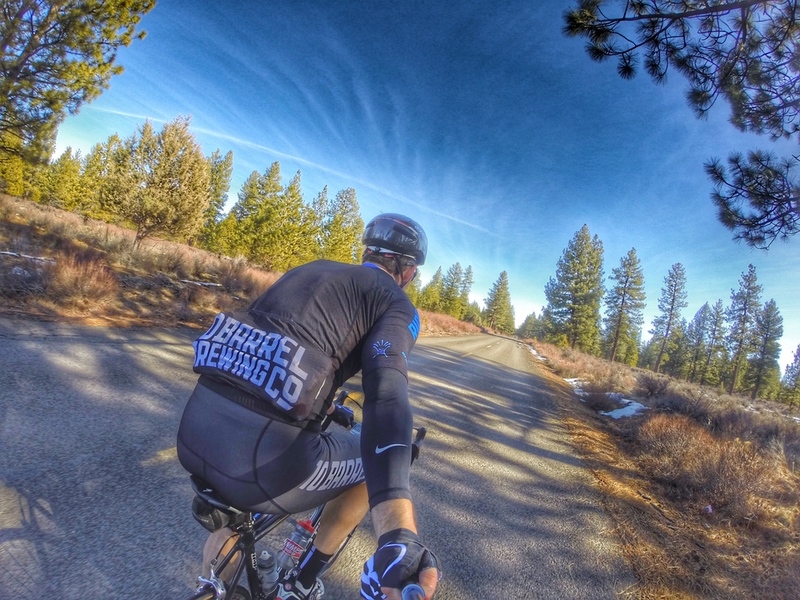 Move to Bend and Training Update. Well, a lot has happened since my last post in February. I resigned from Nike and have started a new career in Bend, my wife and I just bought our dream house, and I’m (almost) 4 weeks out from Ironman Coeur d’Alene. Wow! Moving to Bend has always been a dream of ours, especially since we got married here last summer. To find an amazing job in the Technology industry and be able to make that dream come true has been such an incredible journey to experience, and I’m so thankful that I’ve been able to do it with April. After 6 weeks of being in Bend, a house we’d been eying fell out of pending so we POUNCED on it and our offer was accepted within 24 hours. We are thrilled to have a place to call home, and I can’t wait to update my driver’s license with our new Bend, OR address! Bend has always been my training Mecca – sitting at right around 4,000 ft., dry weather, incredible roads and running trails, and the most amazing outdoor pool – needless to say, it’s been very easy to get used to training here. This coming Sunday I’ll be 4 weeks out from Ironman Coeur d’Alene which takes place on June 28th. I’ve put in the work and have only a few big volume weeks left before I begin the taper. I’m going to do a 3 week run taper and a 10-14 day bike taper. Once the taper begins I’ll ramp up my swim frequency and volume to 5x/week and roughly 13-15k/week. I’ve always responded well to short bursts of swimming higher frequency. I’m feeling confident with the volume and quality that I’ve hit in training and getting clearer on what I think my goals are going to be for the race. Happy training and I hope you enjoy a few photos from our journey to Bend (really just me biking and a picture of our new home!). Last Sunday, I posted a picture on my Instagram account telling the world, well 240 followers, that I was officially beginning my Ironman Coeur d'Alene training. The plan was plugged into Training Peaks, I had all of the gear I needed to get after it, and mentally - I was ready to rock and roll. I woke up Monday morning feeling less than amazing. My thought was that after 2 weeks away from the routine of work, my body was just a little bit in shock to be waking up close to 6am, but my spirits were high. I packed my gym bag (Swim, Run, Lift were on the schedule), had my usual granola/yogurt/fruit breakfast + coffee, and headed to work right around 8. As soon as I got to work I could tell I was off. After a leadership meeting in the morning, my body was feeling achy, mentally it was very hard for me to engage, and I was feeling very weak in general. I hoped that a swim/sauna would help shake things off - and headed to the gym for my usual lunch workout. After 1800 yards and sitting in the sauna without sweating, I knew I was sick. What followed the next few days was not what I had in mind for my first week of Ironman Training. Yep, that's me in bed, our dog Lola keeping me company, and my wife taking a picture of me while taking care of everything else since I was OUT. I won't get into the details of the week, but the doctor diagnosed me with H1N1/Swine Flu. For 4 straight days I fought fevers peaking out at 103.3, and was more exhausted then I've ever been. I also found the show Friends (I had never seen an episode before this week! ), and am on my 32nd episode since Monday. I'm thankful for my wife who took care of everything at the house and tended to everything that I needed and/or wanted, and for a body that is strong and able to kick such an awful virus. I woke up this morning feeling mostly back to myself. Week 1 of Ironman training didn't happen like I'd hoped, but going into my first real week next week, my body is going to be ready and my immune system will be strong which is a good thing. Now I am really ready to start training!